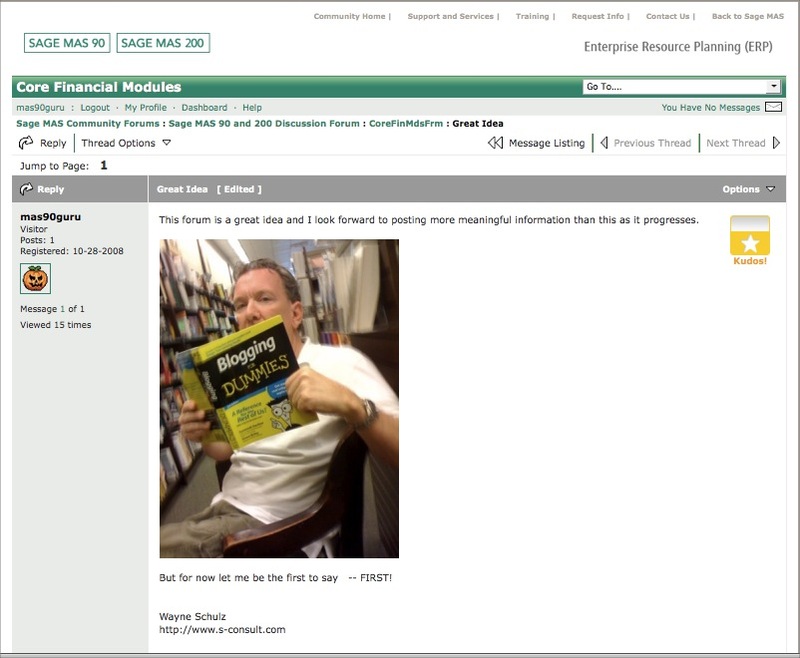 Sage Software has soft launched a new messaging forum which appears designed to replace or substantially duplicate their existing SageTalk forums. This area, powered by the Lithium online community software, has separate areas for each of the SAGEMAS products – Sage MAS 90 and 200, Sage MAS 500 and Extended Enterprise Suite. One of the huge improvements to the discussion area is the ability to read the forum messages without logging in or registering for a user ID (previously the SageTalk messaging system required a login in order to view messages). The new message board also includes RSS feeds so that you can preview messages in your favorite RSS reader (I strongly recommend Google Reader). 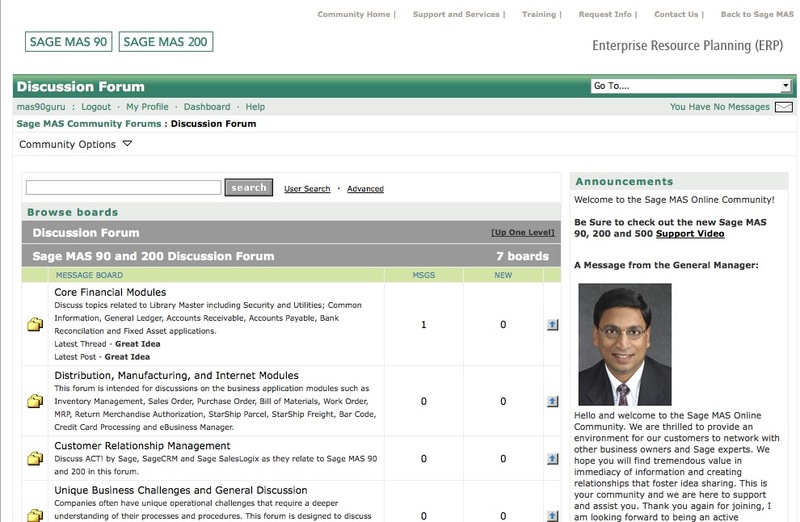 At present there is at least one private community that is also hosted, the Sage MAS 90 and 200 Developer Community. Access to this area appears to be by special request only. Sage corporate blogs will also be housed within this community. Interestingly it appears that most (if not all) of the communication will take place behind a password protected entrance – meaning the general public won’t be able to read the information without a login and password and what goes on in the forums and blogs will likely not be indexed by Internet search engines such as Google. Update: It appears that you can indeed access this site to read messages and blogs without logging in. For this initial soft launch there was no requirement to enter a Sage Software customer or reseller ID (as was the case with SageTalk). There’s also no confirmation on what may happen to the SageTalk discussion forum which largely duplicates the mission of the new Sage MAS community. The mission of this community is to enable all Sage MAS ERP customers to share, learn, and support each other on a broad spectrum of issues and interests. While Sage’s intent is for customers to network, form connections and share useful information, our North American Support team does monitor the site and may periodically respond to unanswered technical posts. Should you require an immediate response to technical issues, we have a variety of support options. For now registration for the community is free and access is instant. 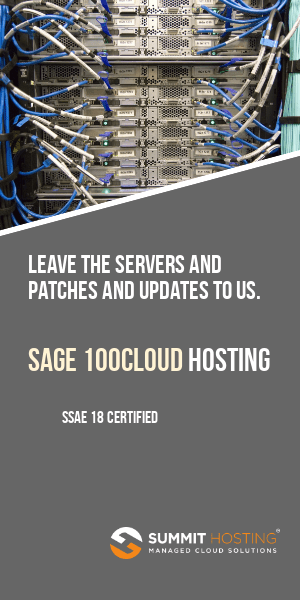 It is not known whether in the future this forum will require entry of your Sage Software customer or reseller number to further authenticate you and issue a user login.